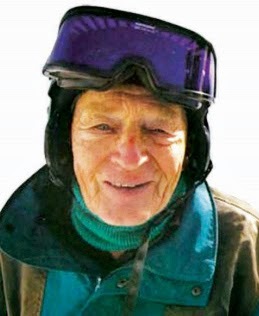 Charles Elliot will be skiing on his birthday this November 19th. Elliot was one of the founders of the Wolf Creek Ski Area and a past president of the Gray Wolf Ski Club. Elliot was inducted into the Colorado Ski and Snowboard Hall of Fame in 2011. Elliot began experimenting with skiing in 1934, using homemade wooden skis and sliding straight down the mountain. He began using homemade ski poles in 1936 and began to learn the concept of making turns. During the late 30’s and into the 40’s, Elliot helped establish and train a Ski Patrol, installed a rope tow, and was involved with the operations of Wolf Creek. Friends will celebrate and ski with Elliot, from the Base Camp of Wolf Creek Ski Area on November 19, 11:30am.